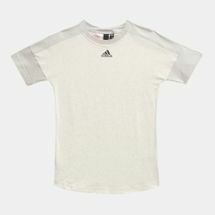 Anything but basic, the adidas Kids' Stadium T-Shirt brings its own unique update to the classic white tee. 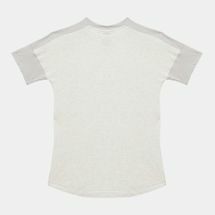 The contrast sleeves break the color tone while the side slits help your little one to move around comfortably. 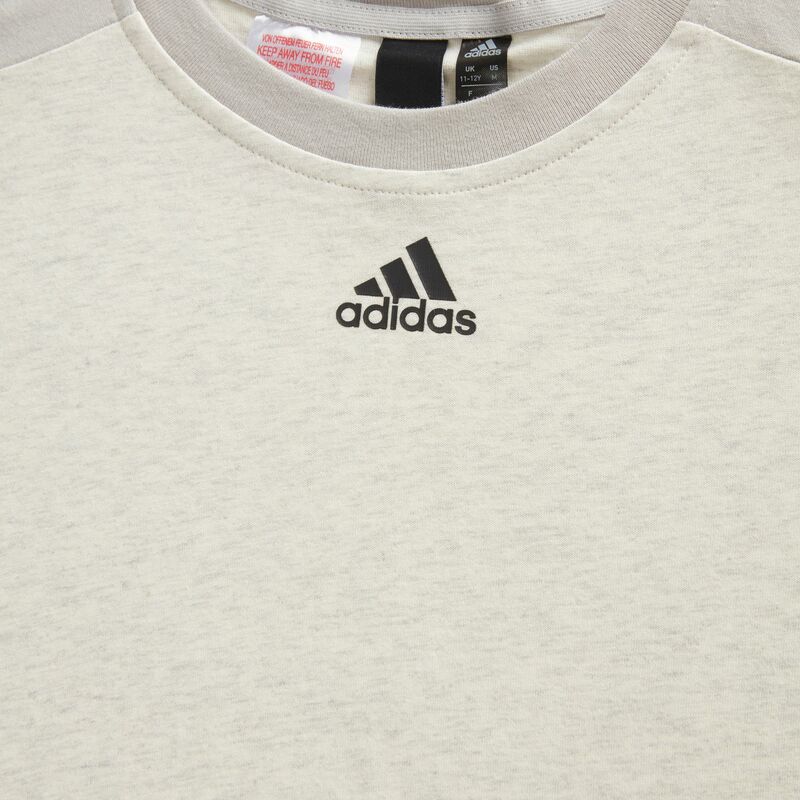 The Adidas logo centers up the crisp everyday tee.